I Can't Recommend This Remarkable Book Highly Enough! I just finished reading: Divine Union, The Love Story of Jesus and Mary Magdalene by Lea Chapin, and all I can say is -- no wonder it took me 2 1/2 months to read a 209 page book that even has fairly large print! It is so Powerful, Profound, Ground-Breaking, and Moving, that it is downright overwhelming at times! I had to pace myself while reading it to process what I was hearing. Not to mention that I wanted to slowly savor every word. And I now believe the story is absolutely true. Lea is a masterful channeler to be sure. Thank You so much for your work, Lea, and for who you are! I just want to exclaim, I Can't Believe It! It Is Such An Incredible Story! I'm So Grateful To Have Found You! Your Book Has Blessed And Enriched My Life And My Understanding Of Jesus Ten Fold! It is always my pleasure to help promote and share with the world amazing finds that inspire me. To me, this book is a life-changing Must Read for all twin souls, and for all spiritually-minded folks whether they are religious or not. The message in the book is refreshingly non-religious, which I truly appreciate as one who fell out of belief in the efficacy of religion many years ago; after walking the Christian path for decades. But I never fell out of belief in or being in love with Jesus Christ. He came into my life as a young girl. This book will surprise you all the through ‘til the end. I hesitate to describe it here because I want you to read it and be surprised like I was! Delightfully Surprised! I'm going to read it again, and I never do that! I also ordered Lea's first book as soon as I finished reading Divine Union. Can't wait. It's called The Twelve Mastery Teachings of Christ: Jesus Christ Reveals The True Essence of His Teachings. This is a beautifully written and inspiring story about the power of soulmates and their undying love, devotion and faith as they endure the grueling Roman occupation. This book teaches us about understanding our true essence, overcoming adversity, and learning about compassion, peace and joy. A must read! You can feel the love of Jesus and Mary through reading these words, very fulfilling feelings after finishing the book! I have never written a review before on Amazon, but I was compelled to express how deeply moved I was by reading Divine Union: The Love Story of Jesus and Mary Magdalene. This book has it all, human emotion, spiritual messages, and above all the revelation of truth about the intimate lives of Yeshua and Mary Magdalene that for so long has been hidden. The role of the females in support of preparation for Yeshua's crucifixion was truly eye opening. In fact, the truth about the crucifixion and the resurrection so resonated with me. I always felt there was so much more to this story than what I had ever been told through my upbringing in the Catholic church. As you read this love story, which begins with Mary and Yeshua as young children, you will see the development of both of them emotionally, physically, and yes, spiritually. I loved the flow of this book and because it is channeled, it reads like a book written in first person narrative. So, you really can feel the emotions of both of them in the various stages of their lives together as well as when they were apart. I, personally, could so relate to Mary when she felt panic rising within her as Yeshua left many times to fulfill his sacred mission. After so many years of not being able to relate to Jesus, I now feel much more connected with him as I read of his struggles and pain to fulfill his calling. For both Yeshua and Mary, there were many times when they didn't understand the Divine Plan, and their real human emotion in the midst of this was so very inspiring. I could really relate to them both as people, who struggled to fulfill their sacred calling just as every one of us does. There is just so much here. I don't want to give it away. I will say that in the reading of this, you will feel the high vibrational frequency coming through the words. On every single page, there was some message, or some word that stood out for me that I had to underline. This is truly a book that you will not read just once. I look forward to reading it again because I know that I will experience it at a deeper level the next time. Thank you, Lea, for bringing this gift to the world at this time when it is so needed. This book really is about love, not from a religious or historical perspective, but from an emotional and spiritual perspective. I highly recommend this beautiful work. It is a masterpiece. This book just fascinated me! What an amazing story! 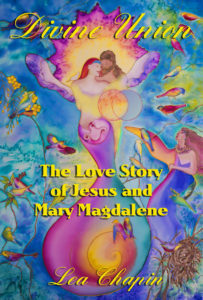 I have always wanted to know more about Jesus and Mary Magdalene and wondered what their lives were really like. And what I learned about them in this book went far beyond any information I have ever found on them elsewhere. Their story (from their own personal perspective) was so realistic, so richly detailed, and so full of real human emotion that it read more like an autobiography. I have no doubt in my mind that this intimate peek into their real lives is more accurate than what history has led us to believe. (I always somehow knew there was more to it all than we've been told). Plus, they shared so many powerful secrets behind how they did some of the things they did, that I was stunned. I actually feel like I got a little spiritual education from them just by reading this book. My eyes were certainly opened to greater possibilities! If you get this book, you'll love all the great bonus material in the back, too. No skimping here, this book is packed with extras and extras and more extras! 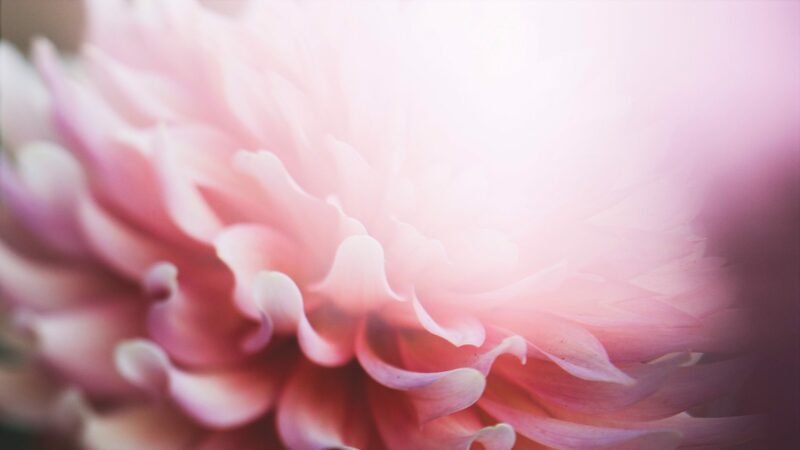 If you apply some of the practical spiritual teachings in these bonus sections, you might find your life changing in some very positive ways. Fabulous book - a great read - very well-written, nicely organized, kept me interested to the very end. I just got her other book, too. I am so grateful that our consciousness has shifted so much that we can now have access to these beautiful, life-affirming, empowering truths that have been suppressed for far too long.